Making good bologna is relatively easy to do, it's healthier too. 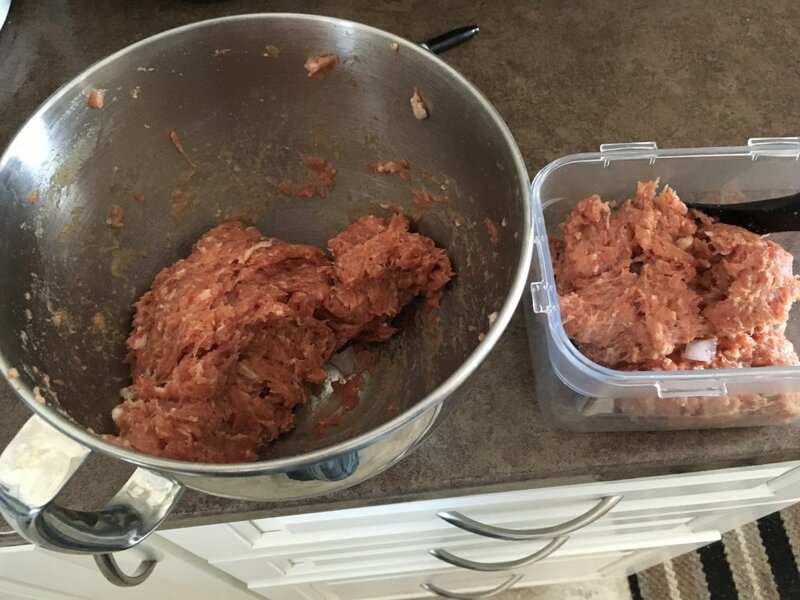 I also make bologna using ground turkey thighs. Turkey requires less seasoning than pork and beef. I make adjustments to my recipe when using turkey. I also adjust the finished temperature from 155˚F for pork and beef to 165˚F for turkey. I cook bologna in the oven so that I can maintain stable temperatures below 200˚F. A smoker would work well too. I’m not able to operate my Keg at temps that low. 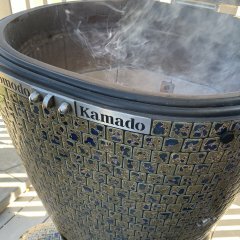 Temperatures higher than 200˚F render the fat. I do not use casing. 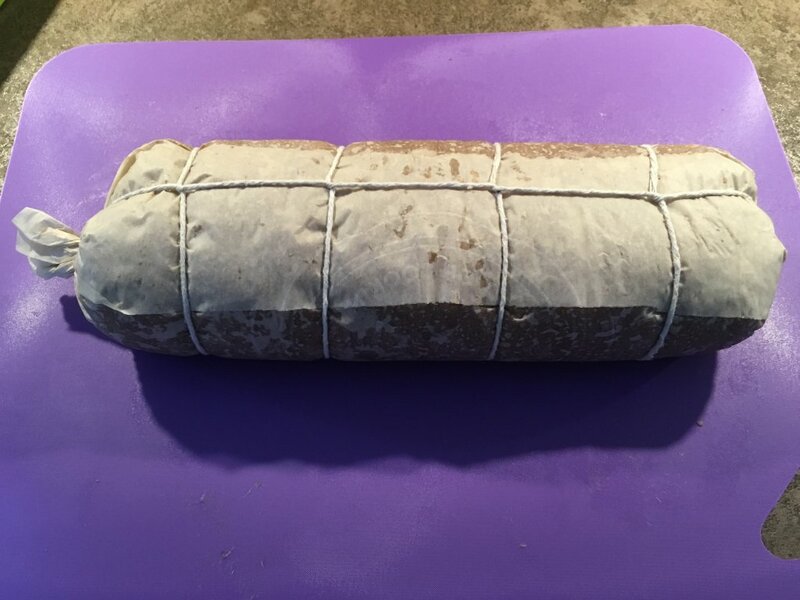 I wrap the bologna mixture in parchment paper and truss it. I give the rounds a quarter turn every hour or so for the first 3 hours. This helps to keep the shape. I set my oven to 185˚F for the first three hours and increase temps. to 200˚F to finish. A 3 lb. bologna takes about 6-7 hours depending whether it’s turkey or beef and pork. Here is a typical recipe for 2.2 lb. 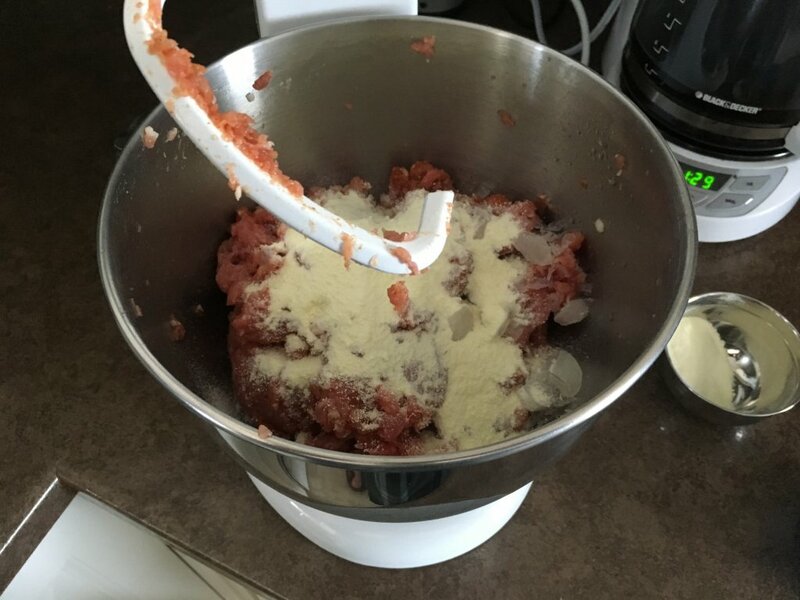 Place all of the meat in a stand mixer or smaller amounts in a food processor. Mix the salt and cure into the meat first making sure the cure is evenly distributed before adding the spices. Add some ice to keep the meat cold while it's being mixed. The skim milk powder and the remaining ice are added last. You want a stiff meat mixture so it will be easy to shape into rounds. Emulsify the meat. Once the meat is mixed I like to place it in the refrigerator over night. This allows the flavours blend and the meat to setup. the rounds turning them during the first three hours to maintain the shape. I use my Maverick to monitor the internal temperature. Love it! Homemade bologna is the king. Son and I just made a 3 lb roll of pork only (as that was leftover from another project and no beef was thawed) that we cooked in my round homeade "ham press" in the sous vide. Used mace instead of nutmeg (same family) but no coriander in this batch and I think it does need the coriander.like you did. How garlicky is yours with the one clove? Ours needed a higher garlic profile (using granulated) as we were seeking a "garlic" bologna and I am curious the difference using fresh. Actually I didn't use the garlic clove I used at 1/2 tsp of granulated garlic. It had a noticeable presence but not overpowering. Never tried it but yours looks really good. Thanks for sharing. Second thought, this could make a really good grilled patty. It's well worth the effort to make it Ben. I'm going to try smaller pieces on pizza this weekend. It fries up well too. Here's some great info. Check out the emulsified sausage section.